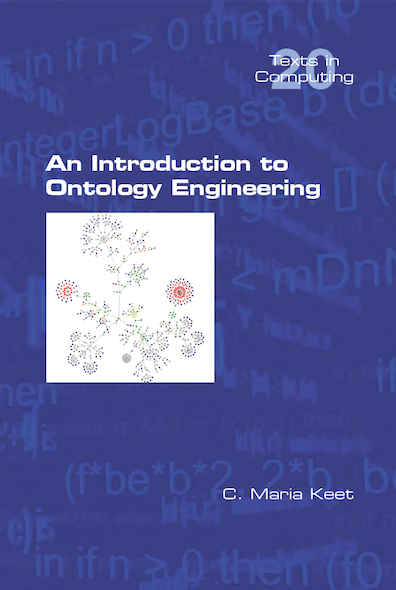 This first general textbook An introduction to ontology engineering has as main aim to provide the reader with a comprehensive introductory overview of ontology engineering. A secondary aim is to provide hands-on experience in ontology development that illustrate the theory. Block I: logic foundations for ontologies both regarding the languages (mainly First Order predicate Logic, Description Logics, and OWL) and automated reasoning. Block II: developing good ontologies with methods and methodologies, the top-down approach with foundational ontologies, and the bottom-up approach to extract as much useful content as possible from legacy material. Block III: advanced topics with a selection of areas of specialisation, including Ontology-Based Data Access, the interaction between ontologies and natural languages (multilingual ontologies, controlled natural language), and advanced modelling with additional language features (fuzzy and temporal ontologies). The end of each chapter contains review questions and exercises. Also, descriptions of two assignments are provided. The textbook is principally aimed at advanced undergraduate/postgradute level in computer science and could fit a semester course in ontology engineering or a 2-week (very/perhaps too) intensive crash course. Domain experts and philosophers may find a subset of the chapters of interest, or work through the chapters in a different order. The exercises are described in the book. It refers to several ontologies and other files specifically, which are listed here with links to the appropriate sources. They are in the process of being updated, hence are not available online yet. Also, some of the material lends itself well for scribbling on the board anyway. * Did this book come out of the blue? No, there have been several versions of written lecture notes before, which started in 2009 and were gradually expanded upon over the years. * Would it not have been better with a 'proper publisher'? Probably. The layout would have looked better, for sure. There are several reasons why it isn't. First and foremost, I think knowledge should be free, open, and shared. I also have benefited from material that has been made openly available, and I think it is fair to continue contributing to such sharing. Also, my current employer pays me sufficient to live from and I don't think it would sell thousands of copies (needed for making a decent amount of money from a textbook), so setting up such a barrier of high costs for its use does not seem like a good idea. A minor consideration is that it would have taken much more time to publish, both due to the logistics and the additional reviewing (previous multi-author general textbook efforts led to nothing due to conflicting interests and lack of time, so I unlikely would ever satisfy all reviewers, if they would get around reading it), yet I need the book for the next OE installment I will teach soon. * Why is there no glossary? Coming up with tweet-size definitions is far from trivial, and several terms can have more than one definition. With IAOA's Technical Committee on Education we're working on an accessible term list with short definitions. * Why did you not mention my tool/method/specialisation? I tried to stick with about 20 pages for each chapter in blocks I and II and 10 chapters in total in this version 1 of the book, so hard choices had to be made. * Will there be a version 2 some time in the future? Probably, yes. I did try to catch all syntactic and semantic typos, but probably still missed a few. More importantly, however, is 1) that for several topics, I discuss more in the lectures than has been written down, so perhaps a next version might be around 25 pages/chapter for the chapters in blocks I and II; 2) there are other well-known subtopics that are not yet covered in Block III (among others, ontology matching and modularisation), and 3) perhaps some application areas for a 'Block IV' may be of interest, such as ontology-driven conceptual modelling, ontology-enhanced information retrieveal, and the (very) lightweight notion of ontology used for wikidata, knowledge graphs, and vocabularies. 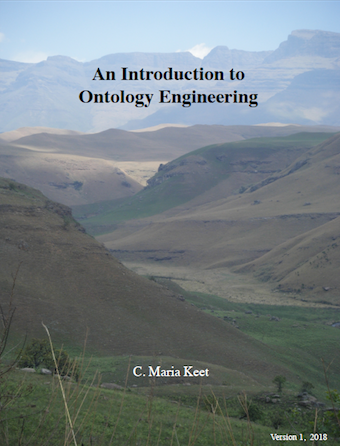 I've added the OE book to the OpenUCT and the Open Textbook Archive repositories. People in charge of other archives and indexes have followed suit, including, but not limited to unglue.it (featured in the week of 13-8-2018), Open Libra, and EBooks Directory. It was also posted on Reddit and I announced it on my blog.